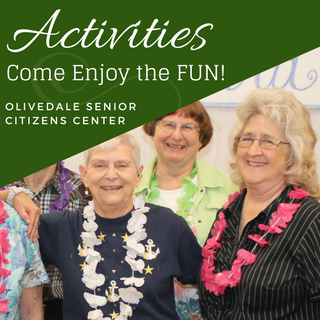 To provide an atmosphere for friendships and feeling of connection with others for senior citizens of the community, learning through educational and recreational opportunities, promote wellness and social activities that encourage service to the senior center and entire community. 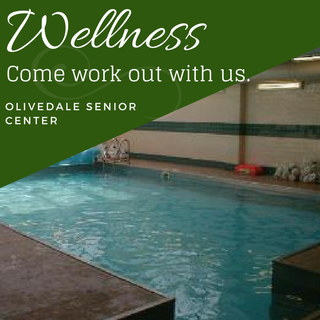 Olivedale offers many educational and recreational opportunities with daily, weekly, monthly and annual activities and events. 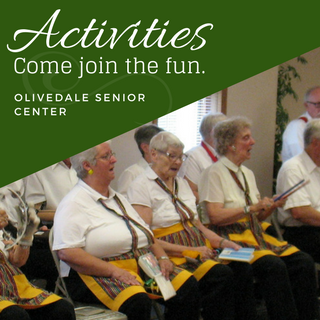 We offer groups to satisfy most any hobby: The arts- painting, woodworking, quilting, dancing, bell choir, needle tatting and basket weaving; Recreation- billiards, bingo, bowling, bridge, cribbage, dominoes, euchre, golf, gardening, Mahjong, ping-pong, pinochle, poker, tai chi and walkers and hikers; Intellectual - Book club, coin club, financial discussions, and educational seminars; Social Groups - Red Glad Hats, Singles Group, and Military Veterans; Travel - Day trips and vacation trips. 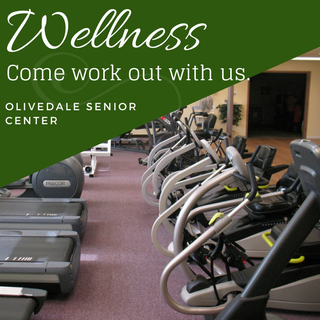 Our Wellness Center has a warm therapeutic exercise pool, aerobic room and exercise equipment. We offer blood pressure checks and hear checks weekly or monthly. 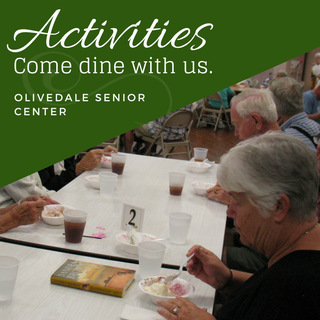 Annually we offer tax prep by AARP, the volunteer luncheon, a yard sale or art show, a June health fair, a member's ice cream social, family fun day, the 80+ birthday party and Christmas at Olivedale.